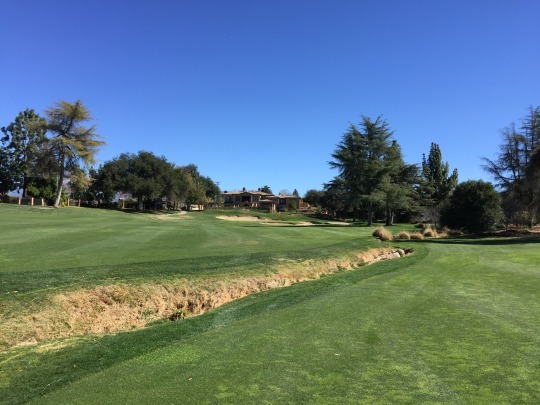 I’ve played some really junky low-level courses in recent weeks as I work through my ‘replay” list of local courses that haven’t yet been reviewed on the site. However, those are mostly just inexpensive filler in between the more meaningful rounds. As spring and summer approach, I should have more opportunities to play private clubs and more interesting new courses. On Monday, I was able to get another big one in the books. 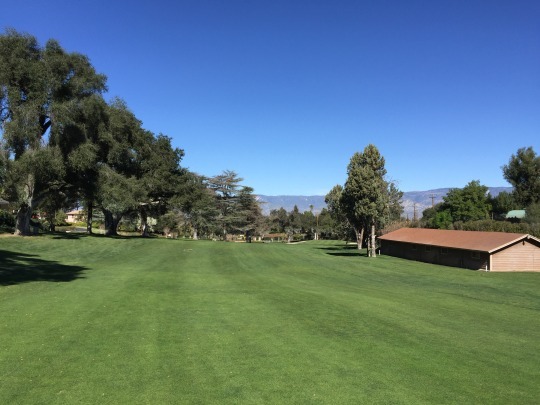 In fact, Redlands Country Club is one of the most historic clubs in Southern California with its origins dating back to 1896. It’s not one most people know that much about, but it really deserves some attention. 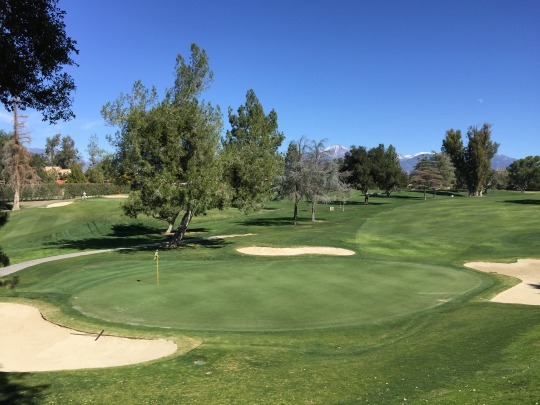 In the beginning, Redlands was just a 9-hole course with dirt fairways and oiled-sand greens. 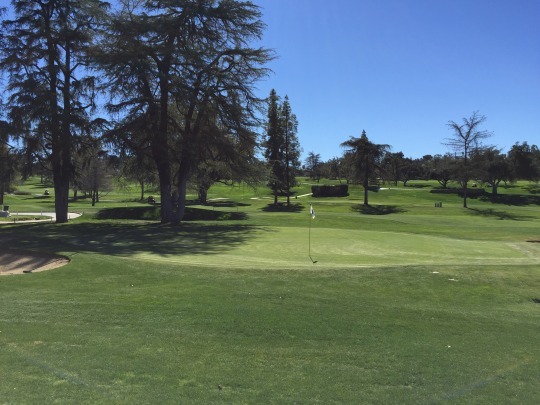 Some remnants of a few of those old green complexes can be found on the current course. 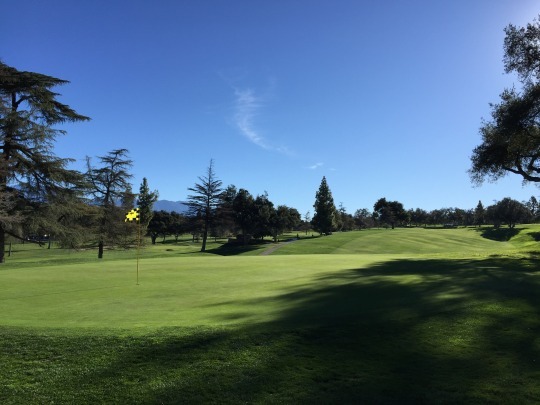 That’s because in 1927, the course was completely redone as an 18-hole design with grass turf. 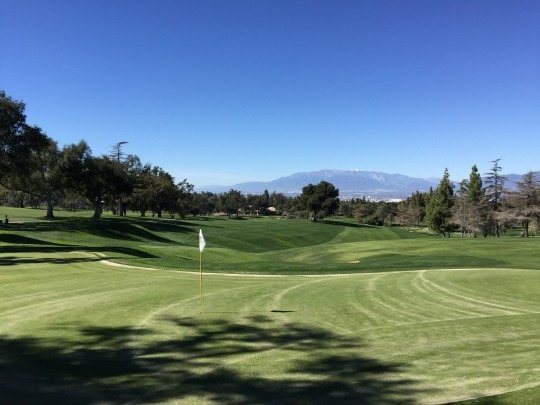 Famed architect Alister MacKenzie consulted on the project as more property was added and the course was entirely reimagined. What they created is still the same basic layout that you find today, though some renovations were made by Todd Eckenrode in the past decade. 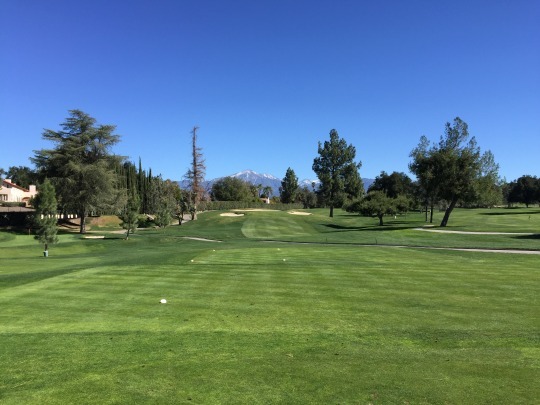 Some course collector friends and I went in on a charity auction round for a foursome at Redlands Country Club. 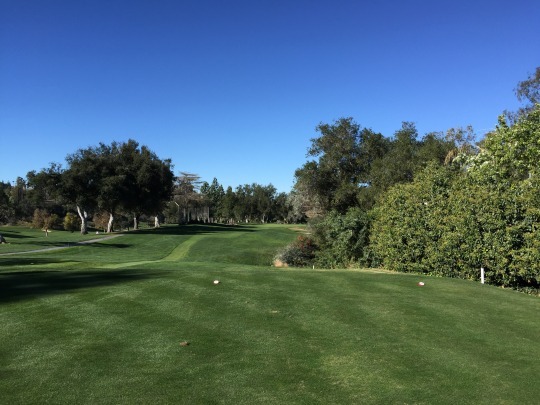 It was only good Monday through Thursday, so playing on the Presidents Day holiday worked best for everyone’s schedule. 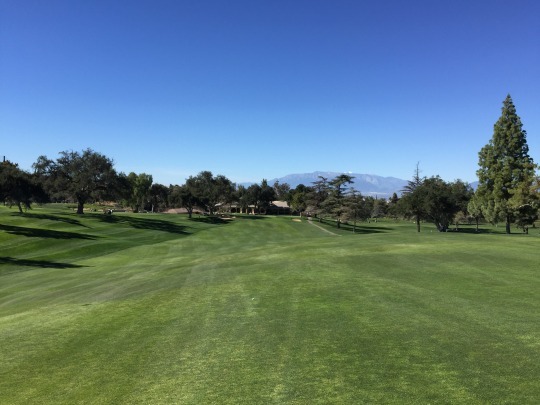 We had a 9:15 tee time and it was very busy out there with members on a holiday. We did tee off a little early and the pace moved very nicely once out on the course. We enjoyed our own relaxed four-hour pace. 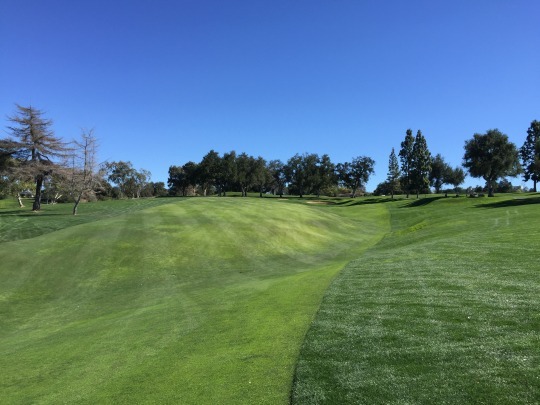 Even though I knew this was supposed to be a pretty special course with so much history, I didn’t know exactly what to expect from the layout. All I can say is I really loved it. 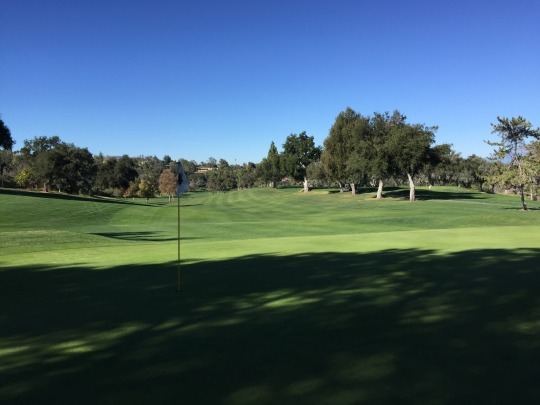 It’s an old school course with hilly terrain and traditional tree-lined fairways. 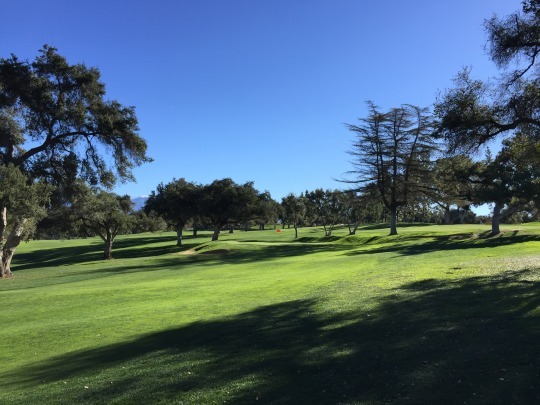 A lot of different trees were brought in, which provide different atmospheres around the course. There are many Monterey cypress trees, along with some sycamores, oaks, acacia, palms, pines and eucalyptus. 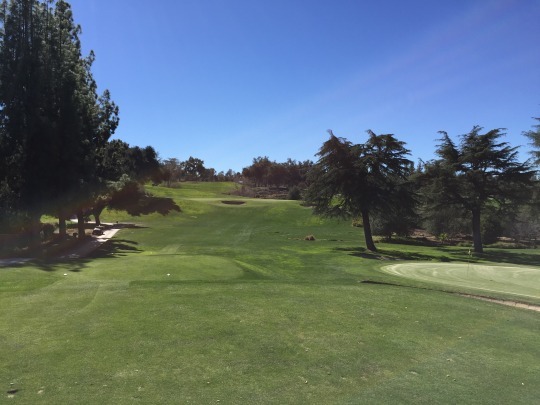 There’s even a redwood tree on the 10th hole, even though it doesn’t seem to be doing very well in this dry SoCal heat. 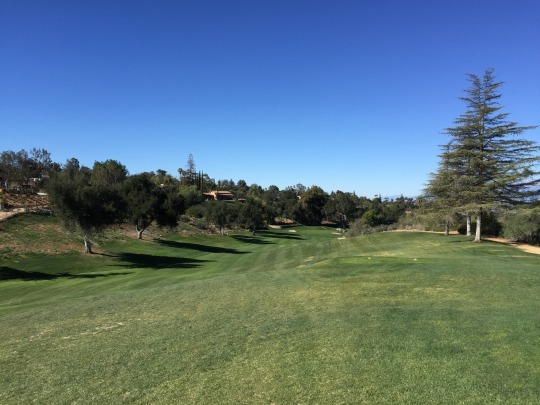 Before we teed off, I was looking back upon the 18th hole and remarked how much it felt like a Monterey or Bay Area course. Once on the course, I didn’t get that impression nearly as much. Then, when I was standing on the stunning 14th tee box, I was reminded of Central Oregon. 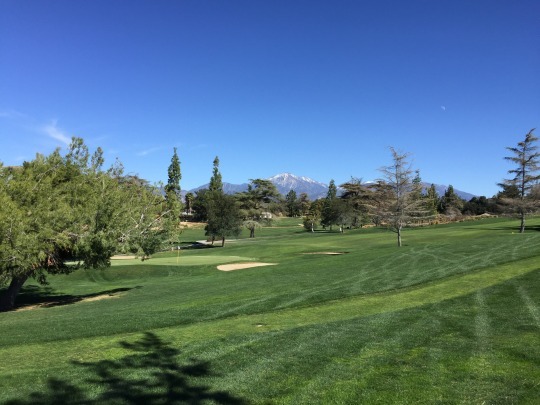 The landscape brings in elements from other regions, but at its heart Redlands remains a truly vintage Southern California style course. 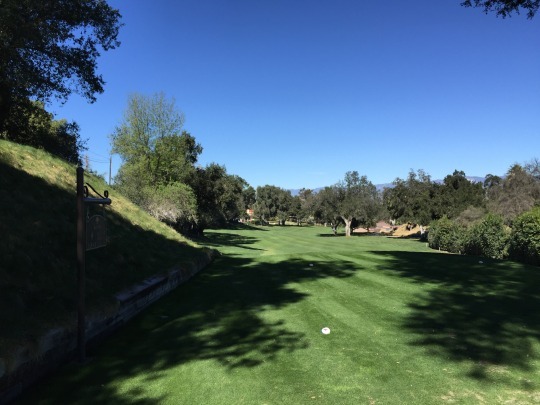 As an older course, you can expect Redlands might have some quirky holes. 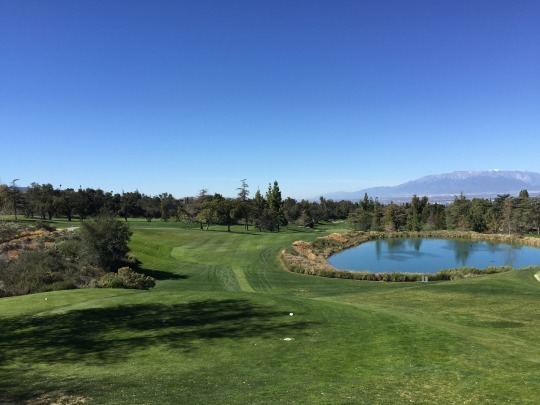 Generally, this is a result of limited space in which to craft a full 18-hole complex. 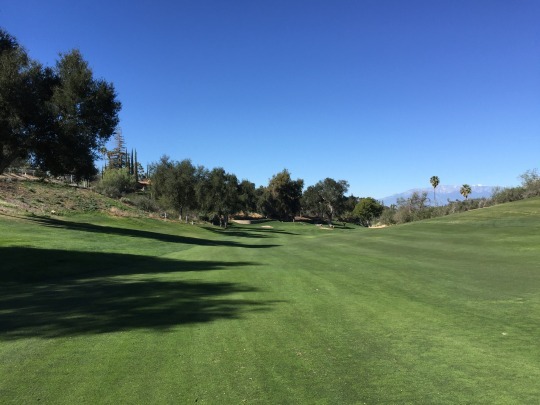 There are definitely some tough doglegs, but the most awkward hole is easily the 8th. 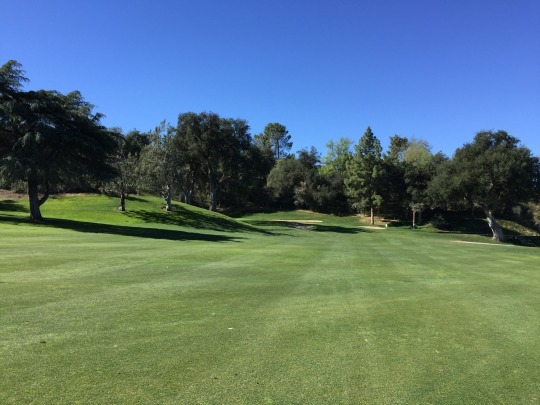 It is a short par-4 that circles left around a hillside, almost in a “U” shape. 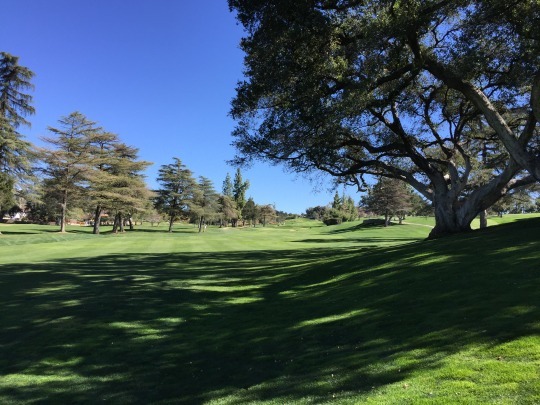 A massive tree hangs over the left half of the green, so even a good lay-up off the tee will leave a touchy shot in depending on the pin placement. 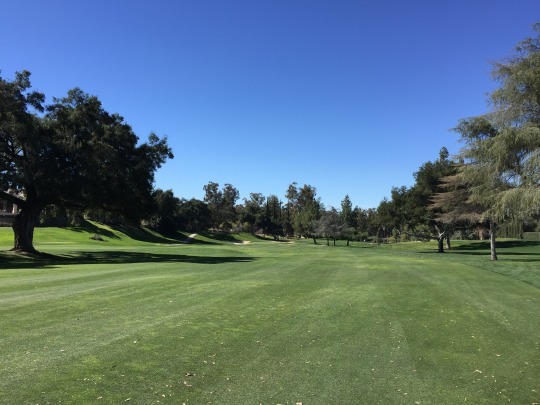 My favorite hole on the course was the par-4 14th. 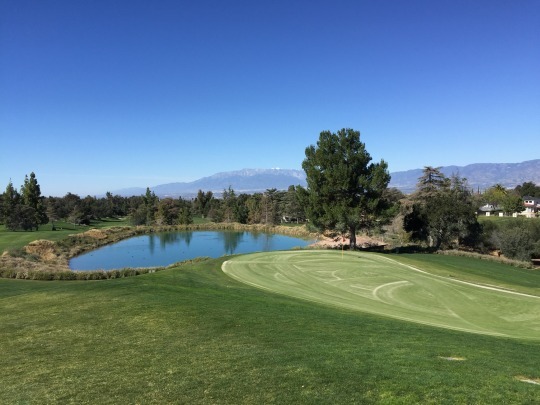 The view from the elevated tee box is awesome with the mountains in the distance. 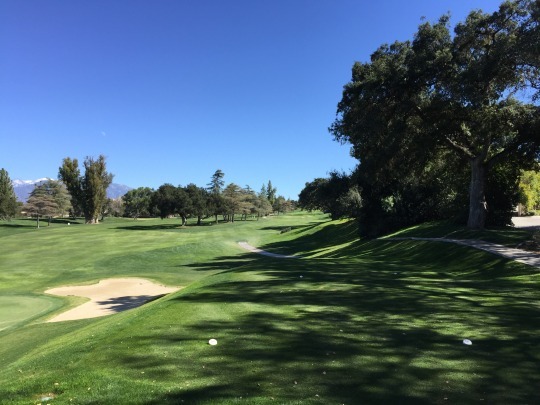 This hole also brings in the only water hazard on the course in play as it shapes a narrow fairway landing area. The hole plays downhill all the way and is a really fun one. 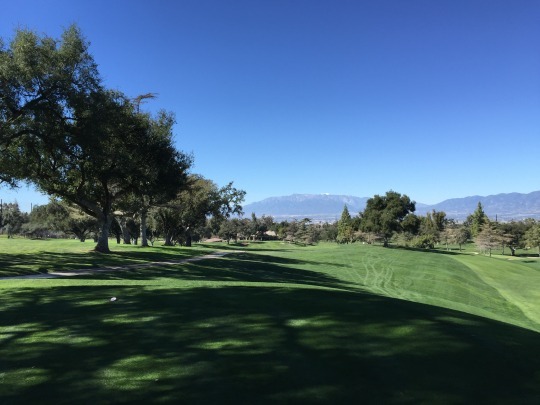 Redlands Country Club is a par-70 course with only two par-5s in the routing. It is very short by today’s standards, maxing out at 6,241 yards. 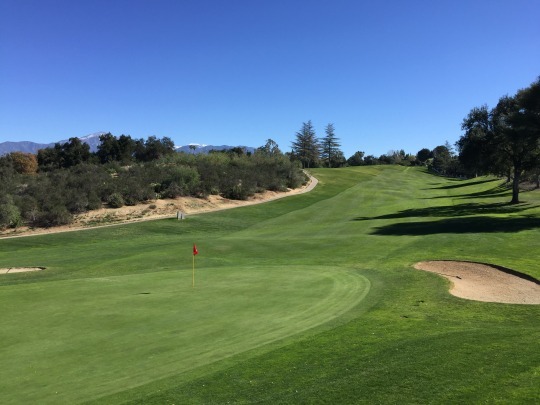 With the hilly terrain, it tends to play longer in places, and some of the doglegs really stretch how long certain holes will play. 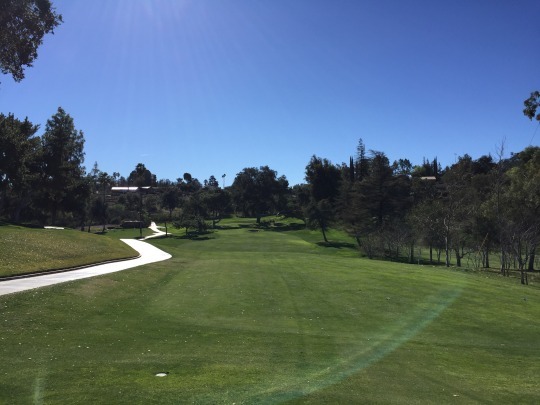 On top of a really enjoyable layout, the course was nearly immaculate. Almost every inch was lush, green and perfectly manicured. 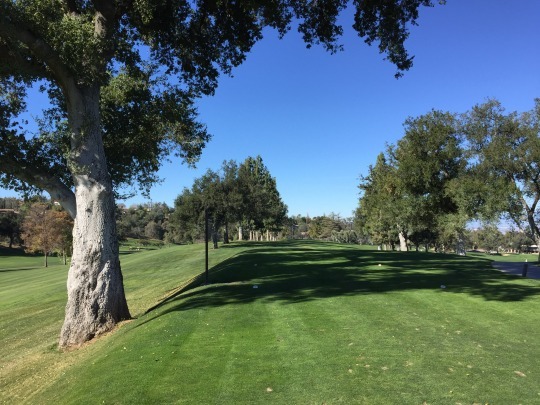 The tee boxes and fairways were perfect. The rough was thick and just deep enough to be difficult. The bunkers were also exceptional. The only issue was the greens. As we were teeing off on the first hole, we saw them sanding the practice green. 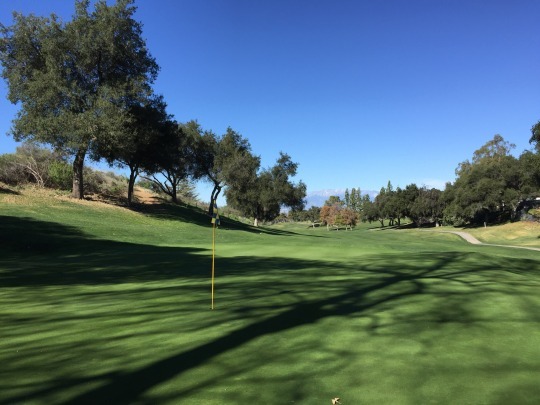 Through 11 holes, we enjoyed nearly perfect greens rolling smooth and quite quick. Then, we were bummed when we got up to the 12th green and it had just been sanded over (no aeration, just top-dressed). Holes 13-14 and then holes 16-18 were also sanded. Not sure why they skipped 15, but I am sure they were working their way to every green throughout the day. The greens still rolled fairly fast even with the sand (not quite as fast as the rest), but approach shots and chips reacted very differently on the surfaces. It was a tough adjustment on the back nine. Them sanding the greens while we played was the only blemish on an otherwise perfect experience. 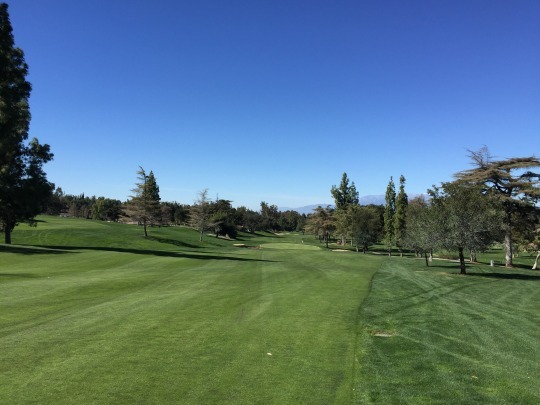 Otherwise, it was a great course in nearly perfect condition. I had a feeling I would like it, but just didn’t realize I would love it as much as I did. 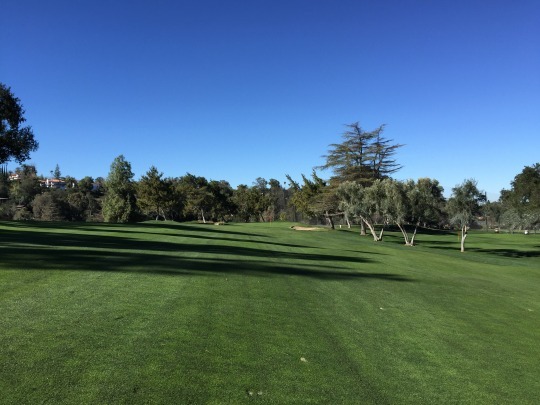 Certainly, if you ever get a chance to play this course, take advantage of it!